Along with Honor 91, Honor also launched MediaPad T3 and MediaPad T3 10 tablets in India. Both the tablets come with pre-installed with MS Office, 4G LTE, Voice calling and metal build. Honor MediaPad T3 is smaller and cheaper. It comes for Rs. 12999. Honor MediaPad T3 10 is larger with 9.6-inch Display and comes in two RAM storage variants. Its 2GB/16GB variant costs Rs. 14999 and 3GB/32GB variant costs Rs. 16999. 2GB RAM. It has 16 GB Storage with an option to expand storage up to 128GB. It offers 5 MP rear camera and 2 MP front camera. It has 4G with support for voice calling, Wi-Fi b/g/n, Bluetooth 4.1 and GPS / aGPS. It also has 4800 mAh battery. 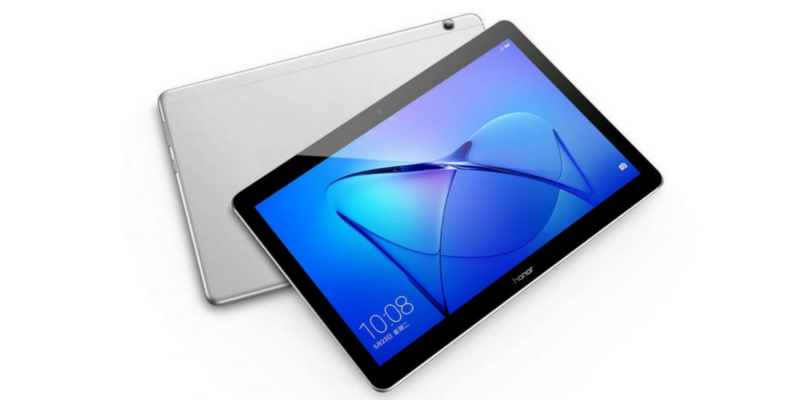 Honor MediaPad T3 10 comes with 9.6-inch (1280 × 800 pixels) IPS display with 16:10 aspect ratio. It has 1.4GHz Quad-Core Snapdragon 425 with Adreno 308 GPU. It comes with 2GB RAM and 16 GB storage or 3GB RAM and 32 GB storage models. It has 5 MP rear camera and 2 MP front camera. It also offers 4G LTE, Wi-Fi b/g/n, Bluetooth 4.1, GPS / aGPS connectivity. You can also make voice calls. It also has 4800 mAh battery. Both the tablets are basically different in just screen size, RAM, and storage. So, you can choose depending on your need.